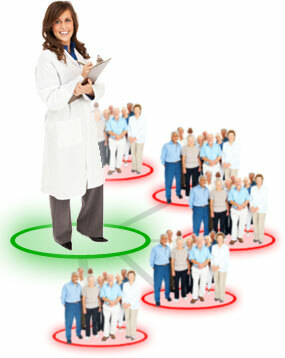 Trying to connect all the dots in your anticoagulation program? Outstanding patient care, clinical effectiveness, and business efficiency. 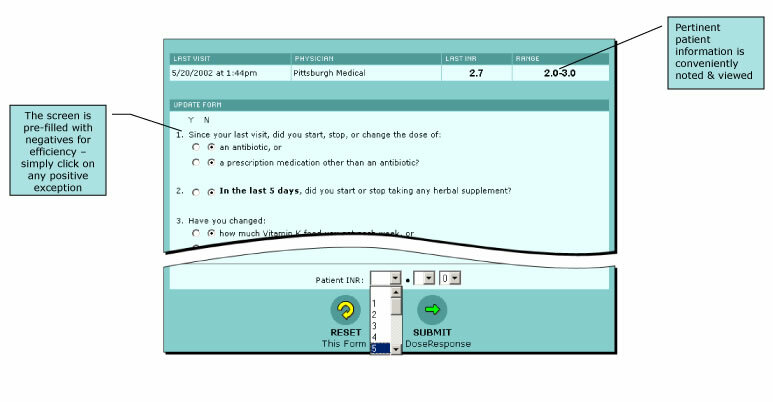 DoseResponse’s unique application allows you to support a single clinic/office setting in one location, or configure it to support multiple patient care sites with clinician management from a centralized, remote site. 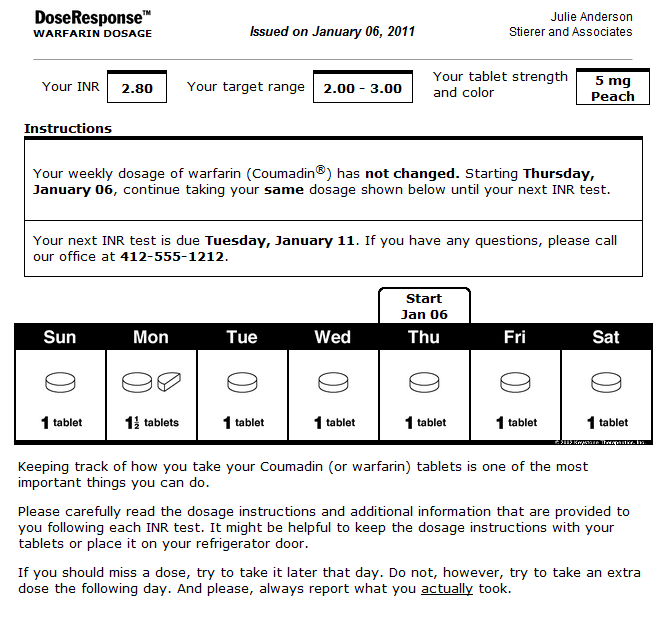 We use this configuration of DoseResponse to manage the dosing of 1,200 patients in 5 locations with one clinician, and maintain a TTR over 80%. As your clinic grows, the embedded DoseResponse Clinic feature unique to DoseResponse allows you to easily extend the reach and clinical expertise of your clinics and clinicians without the need for extensive staff additions and cost increases. DoseResponse Clinic allows your clinicians to work from a centralized location, while patients can present at a location convenient to them and receive the same high quality, consistent care they receive at your main site. 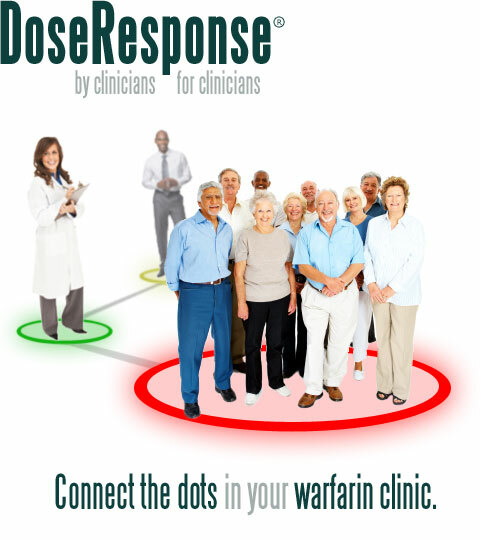 DoseResponse Clinic helps you manage warfarin patients in multiple hospital clinic and physician office locations, each using a nurse or medical assistant at the specific patient care site. Because of the software application, the amount of time required by the centralized clinician is minimized, with no loss of clinical effectiveness. High time in therapeutic range, high degrees of organization, physician and patient satisfaction at a fraction of the cost of current anticoagulation services. For more information contact us by phone at (877) 812-0100, or by email, or at our contact page. We look forward to hearing from you!